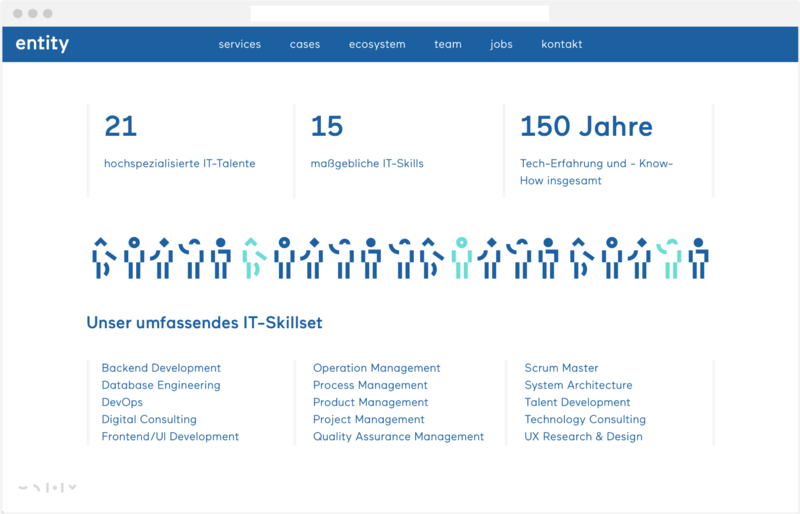 THESIS solutions GmbH develops state-of-the-art quality web platforms and applications from scratch for enterprises with complex, digital business models. After the upheaval of restructuring, it became time to revisit the brand in terms of its strategy and design. 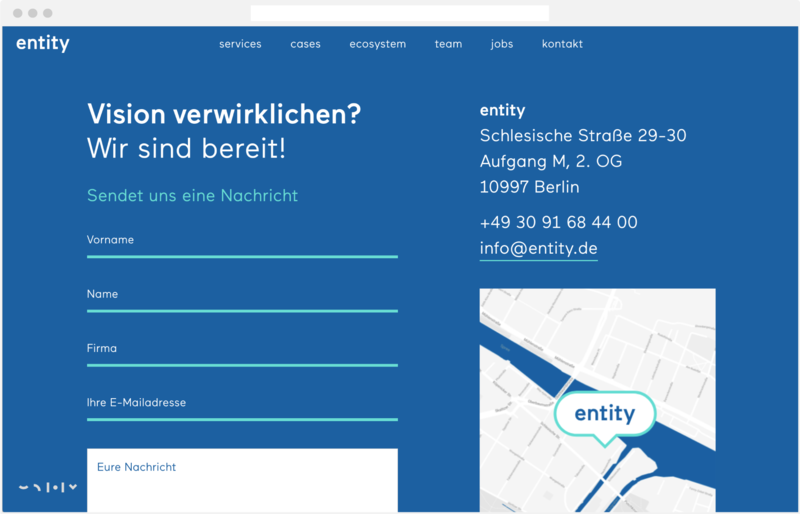 The challenge: how to translate value proposition, claim and culture of the Berlin developers into a brand design both adequate and understandable to start-ups who don’t have tech founders? Entities give constructs a tangible form – entity gives visionary business models a digital form. With entity, great ideas become realities. We created a code specifically for this client and then employed it to visualize both claim and core service: the agile development of state-of-the-art quality software. 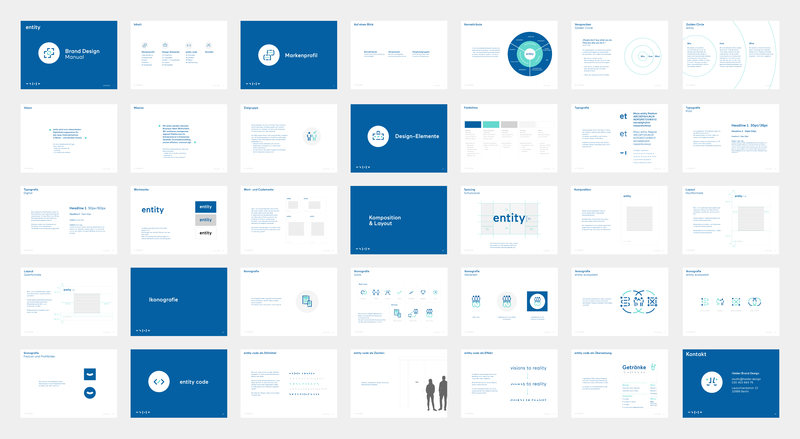 The code becomes icons that illustrate products, processes, services. Scroll-activated animations and parallax scrolling underscore the brand’s attitude. Balance between consistency and dynamics: branding consistent in content, adaptive in media.